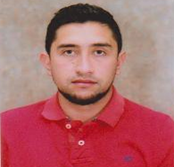 He is engineer in Electronics and Communication Networks, graduated from the Master of Information Systems Management and Phd Student from Salmanca University. He has experience on approaches for free platforms in networking and electronic systems development. Experience in teaching and research. Management of various programs and programming languages (C ++, MatLab, C, R, Java). Visitor student at Universidad de Salamanca - Spain. Intern at Universidad de la Plata - Argentina. Invited speaker at IWINAC 2017, A Coruña, Spain. Invited speaker at AUNAR University-Colombia. Data visualization, embedded systems, intelligents systems, prototype selection, neural networks, wsn, data representation. This paper proposes an approach for modeling cardiac pulses from electrocardiographic signals (ECG). A modified van der Pol oscillator model (mvP) is analyzed, which, under a proper configuration, is capable of describing action potentials, and, therefore, it can be adapted for modeling a normal cardiac pulse. Adequate parameters of the mvP system response are estimated using non-linear dynamics methods, like dynamic time warping (DTW). In order to represent an adaptive response for each individual heartbeat, a parameter tuning optimization method is applied which is based on a genetic algorithm that generates responses that morphologically resemble real ECG. This feature is particularly relevant since heartbeats have intrinsically strong variability in terms of both shape and length. Experiments are performed over real ECG from MIT-BIH arrhythmias database. The application of the optimization process shows that the mvP oscillator can be used properly to model the ideal cardiac rate pulse. Dimensionality reduction (DR) methods are able to produce low-dimensional representations of an input data sets which may become intelligible for human perception. Nonetheless, most existing DR approaches lack the ability to naturally provide the users with the faculty of controlability and interactivity. In this connection, data visualization (DataVis) results in an ideal complement. This work presents an integration of DR and DataVis through a new approach for data visualization based on a mixture of DR resultant representations while using visualization principle. Particularly, the mixture is done through a weighted sum, whose weighting factors are defined by the user through a novel interface. The interface’s concept relies on the combination of the color-based and geometrical perception in a circular framework so that the users may have a at hand several indicators (shape, color, surface size) to make a decision on a specific data representation. Besides, pairwise similarities are plotted as a non-weighted graph to include a graphic notion of the structure of input data. Therefore, the proposed visualization approach enables the user to interactively combine DR methods, while providing information about the structure of original data, making then the selection of a DR scheme more intuitive. Chico Morales, I., Narváez Pupiales, S., Umaquinga Criollo, A., & Rosero Montalvo, P.
El gateo de los bebés es la forma de descubrir y aprender sus funciones motoras, cognitivas, sociales, emocionales, entre otros. Debido a esto, los infantes se exponen a diferentes peligros como: caídas, quemaduras, lesiones corporales entre las más comunes, donde el hogar es el lugar de mayores incidentes. Debido a lo antes expuesto, la presente investigación se enfoca en el desarrollo de un sistema embebido dentro de un textil inteligente que permita advertir y prevenir accidentes. El sistema se encuentra en una prenda de vestir en forma de arnés que cuentan con una conexión con rodilleras de gateo con sensores magnéticos. Estos elementos son los encargados de detectar cintas de seguridad magnéticas colocadas previamente en lugares de mayor peligro en el hogar. Como resultado, el sistema emite una alerta con un tiempo de reacción de 7,6 segundos, después de ser activado el sistema. The estimation of energy demand is not always straightforward or reliable, as one or several classes may fail in the prediction. In this study, a novel methodology of load forecasting is proposed. Three different configurations of Artificial Neural Networks perform a supervised classification of energy consumption data, each one providing an output vector of unreliable predicted data. Under the clustering method k-means, multiple patterns are identified, and then processed by the Gaussian Mixture Model in order to provide higher relevance to the more accurate predicted samples of data. The accuracy of the prediction is evaluated with the several error rate measurements. Finally, a mixture of the generated forecasts by the methods is performed, showing a lower error rate compared to the inputs predictions, therefore, a more reliable forecast. This work is a Scientific Track paper corresponding to the area of Intelligent Systems. This paper presents a facial recognition approach based on the Eigenfaces method as well as Principal Component Analysis (PCA) as algorithm of processing and cleaning images, respectively. The classification was performed by using the Euclidean distance between the facial characters stored in a database and new images captured in an interface with similarly coded developed in MatLab. As main results, we obtained: (i) 68.9% of classification accuracy when using different components of stored faces, (ii) 91.43% of classification performance when storing 3 components for each face and evaluating more users for training model in seven controlled experiments. This work presents an improved interactive data visualization interface based on a mixture of the outcomes of dimensionality reduction (DR) methods. Broadly, it works as follows: The user can input the mixture weighting factors through a visual and intuitive interface with a primary-light-colors-based model (Red, Green, and Blue). By design, such a mixture is a weighted sum of the color tone. Additionally, the low-dimensional representation space produced by DR methods are graphically depicted using scatter plots powered via an interactive data-driven visualization. To do so, pairwise similarities are calculated and employed to define the graph to simultaneously be drawn over the scatter plot. Our interface enables the user to interactively combine DR methods by the human perception of color, while providing information about the structure of original data. Then, it makes the selection of a DR scheme more intuitive -even for non-expert users. This work proposes two novel alternatives for dealing with the highly important issue of the clustering performance estimation. One of the measures is the cluster coherence aimed to quantifying the normalized ratio of cuts within a graph-partitioning framework, and therefore it uses a graph-driven approach to explore the nature of data regarding the cluster assignment. The another one is the probability-based-performance quantifier, which calculates a probability value for each cluster through relative frequencies. Proposed measures are tested on some clustering representative techniques applied to real and artificial data sets. Experimental results probe the readability and robustness to noisy labels of our measures. The area of research on the detection of falls in the elderly allows to prevent major ailments to a person and not receiving timely medical attention. Although different systems have been proposed for the detection of falls, there are some open problems such as: cost, computational load, precision, portability, among others. This paper presents an alternative approach based on the acquisition of speed variation of the person on the X, Y and Z axes using an accelerometer and machine learning techniques. Since the information acquired by the sensor is very variant, with noise and high volume of data, a prototype selection stage is carried out using confidence intervals and techniques of Leaving-One-Out. Subsequently, automatic detection is performed using the K-nearest neighbors (K-NN) classifier. As a result of fall detection 95% accuracy is achieved in experiments from 5 trials and already used in reality by an older adult, the system has a time of 30 ms for position selection and the detection of drop is maintained in a 92% right. This work shows the use of Big Data and Data Mining techniques on vegetable crops data from a greenhouse by implementing the first version of a software tool, so called GreenFarm-DM. Such a tool is aimed at analyzing the factors that influence the growth of the crops, and determine a predictive model of soil moisture. Within a greenhouse, the variables that affect crop growth are: relative humidity, soil moisture, ambient temperature, and levels of illumination and CO2. These parameters are essential for photosynthesis, i.e. during processes where plants acquire the most nutrients, and therefore, if performing a good control on these parameters, plants might grow healthier and produce better fruits. The process of analysis of such factors in a data mining context requires designing an analysis system and establishing an objective variable to be predicted by the system. In this case, in order to optimize water resource expenditure, soil moisture has been chosen as the target variable. The proposed analysis system is developed in a user interface implemented in Java and NetBeans IDE 8.2, and consists mainly of two stages. One of them is the classification through algorithm C4.5 (chosen for the first trial), which uses a decision tree based on the data entropy, and allows to visualize the results graphically. The second main stage is the prediction, in which, from the classification results obtained in the previous stage, the target variable is predicted from information of a new set of data. In other words, the interface builds a predictive model to determine the behavior of soil moisture. The analysis of human sit down position is a research area allows for preventing health physical problems in the back. Many works have proposed systems that detect the sitting position, some open issues are still to be dealt with, such as: Cost, computational load, accuracy, portability, and among others. In this work, we present an alternative approach based on an embedded system to acquire the position-related variables and machine learning techniques, namely dimensionality reduction (DR) and classification. Since the information acquired by sensors is high-dimensional and therefore it might not be saved into embedded system memory, for this reason the system has a DR stage based on principal component analysis (PCA) is performed. Subsequently, the posed detection is carried out by the k-nearest neighbors (KNN) classifier between the matrix stored in the system and new data acquired by pressure and distance sensors. Thus, regarding using the whole data set, the computational cost is decreased by 33 % as well as the data reading is reduced by 10 ms. Then, sitting-pose detection task takes 26 ms, and reaches 75% of accuracy in a 4-trial experiment. To perform an exploration process over complex structured data within unsupervised settings, the so-called kernel spectral clustering (KSC) is one of the most recommended and appealing approaches, given its versatility and elegant formulation. In this work, we explore the relationship between (KSC) and other well-known approaches, namely normalized cut clustering and kernel k-means. To do so, we first deduce a generic KSC model from a primal-dual formulation based on least-squares support-vector machines (LS-SVM). For experiments, KSC as well as other consider methods are assessed on image segmentation tasks to prove their usability. La evolución de Internet ha tenido un alto impacto para la población mundial, aunque en sus inicios solo se consideró como una red de computadores ha pasado a convertirse en la base del desarrollo de la mayoría de aspectos de la vida diaria de todas las personas. La relación entre dispositivos conectados y el número de usuarios que se ha establecido en los últimos años indica que existen más sistemas electrónicos conectados a Internet que habitantes a nivel mundial. El Internet de las Cosas (IoT) se origina por la necesidad de estar conectados entre todos, esto incluye a personas y cosas, de tal manera que cada individuo pueda gestionar de forma remota a cualquier objeto que tenga una conexión a Internet. Esto ha requerido emplear diversas tecnologías, la que mayor éxito ha tenido son las redes de sensores inalámbricos, debido a que permiten recoger diferentes tipos de datos para luego poder ser monitorizados y gestionados. Varias organizaciones a nivel mundial se han encargado de trabajar en la arquitectura y los protocolos que se deben tomar en cuenta para desarrollar aplicaciones de IoT con el fin de que exista compatibilidad entre dispositivos. Una revisión del estado del arte de IoT y WSN permite tener una visión más amplia del alcance, arquitectura, aplicaciones y limitaciones de estas tecnologías, especialmente enfocados al manejo de seguridad de la información y Big Data. Los generos textiles han sufrido grandes cambios a una velocidad impresionante, dando como resultado a la aparicioón de los textiles inteligentes; la primera generación de los textiles inteligentes solamente pueden detectar las condiciones medioambientales o estímulos del mismo, la segunda generación son los textiles que tienen la capacidad de detectar y actuar frente a una determinada situación y los textiles ultra inteligentes son la tercera generación, mismos que pueden detectar, reaccionar y adaptarse a las condiciones y estímulos del medio. Un textil ultra inteligente esencialmente consiste en una unidad, la cual trabaja como cerebro, con capacidad cognitiva, que razona y reacciona, siendo la unión de diferentes áreas de conocimiento para su desarrollo y conocidos como Smart clothes. En el futuro los textiles inteligentes se presentan como la próxima generación de fibras, tejidos y productos que se producirán gracias a sus enormes posibilidades y funcionalidades. The engineering degree program in Electronics and Communication Networks from Universidad Técnica del Norte, with the aim of strengthening the society service processes, has created a project that benefits the population of the rural areas of the province of Imbabura. Such a project has as a main goal to reduce the digital divide in high schools by providing access to information and communication technologies to Imabura’s rural population. To execute the improving technological capabilities project, it is considered as a population of interest, individuals (men and women) older than 12 from different social levels, cultures and ethnic backgrounds. Methodologically, training programs based on a needs' assessment are formulated, which are subsequently evaluated with the aim of reducing the digital illiteracy level in the population of interest. In turn, improving its technological deficiencies and its quality of life. Strategically, the Community Infocentros and school labs are considered, since they are reference points for reaching communities. Along with them, project executors are able to making training on basic office tools, basics on communication networks, Internet, computer maintenance, and men and women management of web pages. Following the training, it was observed that, in the fields of action, participants met their expectations, abilities and skills acquired technology issues. In this paper, the methodological aspects and main results of the project are presented. This work presents a dimensionality reduction (DR) framework that enables users to perform either the selection or mixture of DR methods by means of an interactive model, here named Geo-Desic approach. Such a model consists of linear combination of kernel-based representations of DR methods, wherein the corresponding coefficients are related to coordinated latitude and longitude inside of the world map. By incorporating the Geo-Desic approach within an interface, the combination may be made easily and intuitively by users -even non-expert ones- fulfilling their criteria and needs, by just picking up points from the map. Experimental results demonstrates the usability and ability of DR methods representation of proposed approach. V. Alvear-Puertas, P. Rosero-Montalvo, D. H. Peluffo-Ordóñez, J. Pijal-Rojas. Internet of Things (or also known as IoT) is one of the technologies most named today because of the ability it envisages to connect all kinds of devices to the Internet. If to the potentialities of IoT we add another technology of high impact as It is the Artificial Vision we have a wide field of innovative applications, where the processing of images and video in real time allow the visualization of large amounts of data on the Internet. The main applications developed with IoT and Artificial Vision can be implemented in education, medicine, intelligent buildings, surveillance systems of people and vehicles, among others.This type of applications improves the quality of life of users, however, for their development an infrastructure is required that allows the convergence of different protocols and devices, but in a special way that can handle the different phases of the acquisition of images. In this work, a review of the beginnings, concepts, technologies and applications related to the Artificial Vision with the Internet of Things has been carried out to be able to understand in a precise way the impact of its application in daily life. A. J. Anaya-Isaza, D. H. Peluffo-Ordóñez, J. C. Alvarado-Pérez, J. Ivan-Rios, J. A. Castro-Silva, P. D. Rosero-Montalvo, D. F. Peña-Unigarro, J. A. Salazar-Castro, A. C. Umaquinga-Criollo. Este trabajo presenta un estudio comparativo con métodos de reducción de la dimensión lineal, tales como: Análisis de Componentes Principales & Análisis Discriminante Lineal. El estudio pretende determinar, bajo criterios de objetividad, cuál de estas técnicas obtiene el mejor resultado de separabilidad entre clases. Para la validación experimental se utilizan dos bases de datos, del repositorio científico (UC Irvine Machine Learning Repository), para dar tratamiento a los atributos del data-set en función de confirmar visualmente la calidad de los resultados obtenidos. Las inmersiones obtenidas son analizadas, para realizar una comparación de resultados del embedimiento representados con RNX(K), que permite evaluar el área bajo la curva, del cual asume una mejor representación en una topología global o local que posteriormente genera los gráficos de visualización en un espacio de menor dimensión, para observar la separabilidad entre clases conservando la estructura global de los datos. Palabras clave— Análisis de componentes principales, Análisis discriminante lineal, Aprendizaje de máquina, Clasificación lineal, Clasificación supervisada, Métodos de reducción de la dimensión. Abstract— This paper presents a comparative study with methods of reducing the linear dimension, such as Principal Component Analysis & linear discriminant analysis. The study aims to determine, based on criteria of objectivity, which of these techniques get the best result of separability between classes. For experimental validation two databases, scientific repository (UC Irvine Machine Learning Repository) are used to provide treatment to the attributes of the data-set according to visually confirm the quality of the results. The dives obtained are analyzed, for comparison of results embedimiento represented with RNX (K), which evaluates the area under the curve, which assumes better representation in a local global topology or subsequently generates graphics display a space of smaller dimension, to observe the class separability preserving the overall structure of the data. Estudio comparativo de métodos... (PDF Download Available). Available from: https://www.researchgate.net/publication/311450410_Estudio_comparativo_de_metodos_espectrales_para_reduccion_de_la_dimensionalidad_LDA_versus_PCA_Comparative_study_between_spectral_methods_for_dimension_reduction_LDA_versus_PCA [accessed Jun 03 2018]. Business Intelligence (BI) es el conjunto de estrategias y herramientas para analizar gran cantidad de volúmenes de datos con el fin de encontrar patrones o tendencias de consumo de las personas y establecer estrategias de negocio, para lograr este objetivo es necesario contar con servicios y aplicaciones como RealTime BI, Social BI, Cloud BI, BI 3.0, Business Analitics y Mobile BI. Todo el proceso de BI es soportado por diferentes análisis que implementan algoritmos de machine learning en grandes volúmenes y diferentes fuentes de datos, considerado como Big Data. En este trabajo se hace relación a las funcionalidades y los requerimientos necesarios de BI desde un concepto inicial hasta conceptos específicos y herramientas para su implementación. Spectral clustering is a suitable technique to deal with problems involving unlabeled clusters and having a complex structure, being kernel-based approaches the most recommended ones. This work aims at demonstrating the relationship between a widely-recommended method, so-named kernel spectral clustering (KSC) and other well-known approaches, namely normalized cut clustering and kernel k-means. Such demonstrations are done by following a primal-dual scheme. Also, we mathematically and experimentally prove the usability of using LS-SVM formulations with a model. Experiments are conducted to assess the clustering performance of KSC and the other considered methods on image segmentation tasks. The research area of sitting-pose analysis allows for preventing a range of physical health problems mainly physical. Despite that different systems have been proposed for sitting-pose detection, some open issues are still to be dealt with, such as: Cost, computational load, accuracy, portability, and among others. In this work, we present an alternative approach based on a sensor network to acquire the position-related variables and machine learning techniques, namely dimensionality reduction (DR) and classification. Since the information acquired by sensors is high-dimensional and therefore it might not be saved into embedded system memory, a DR stage based on principal component analysis (PCA) is performed. Subsequently, the automatic posed detection is carried out by the k-nearest neighbors (KNN) classifier. As a result, regarding using the whole data set, the computational cost is decreased by 33 % as well as the data reading is reduced by 10 ms. Then, sitting-pose detection task takes 26 ms, and reaches 75% of accuracy in a 4-trial experiment. Electronic systems with technological advancement tend to connect to data networks to provide better services to people, Internet of Things is the way of remotely communicating devices that previously couldn't, communication M2M (machine to machine) should be most reliable way to ensure data transfer, TCP and UDP are protocols transport layer TCP / IP model to implement a sensor network with a view to applications Internet of Things, free platforms like Intel Galileo Gen 2 allow prototypes a quick and effective way to present solutions with high and optimal processing of information that give way to network connectivity. TCP enables reliable delivery of high data rates to the network that influences the response time of the processor and network, while UDP is light computational load, but does not reveal whether the data has reached its destination.